An update. 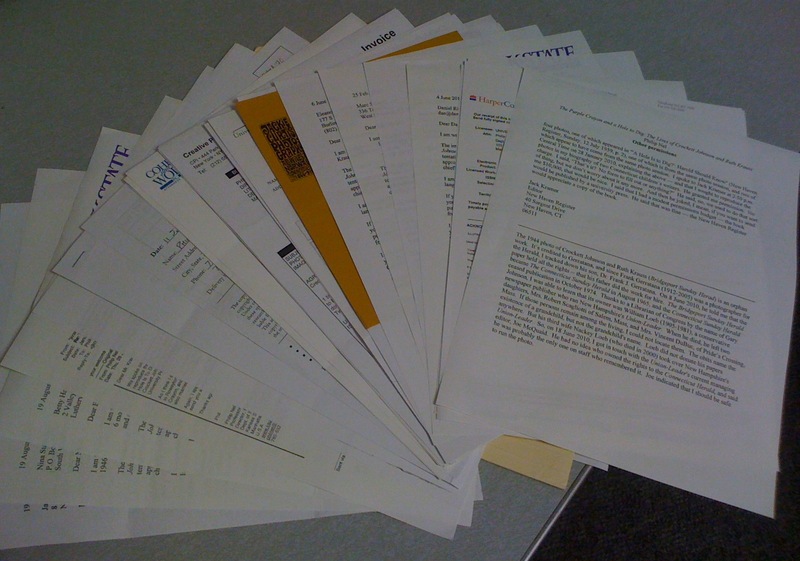 Shortly after yesterday’s blog post, my editor said I could go ahead and send it all in. This means either that he (or someone else) will now seek places to cut or that it’s moving ahead to the copy-editing stage. Either way, it’s off my desk until [unknown date]! With a mixture of pride and embarrassment, Nine Kinds of Pie commemorates this (possibly) momentous occasion with some amateur photography. DVD containing the full manuscript plus all images. 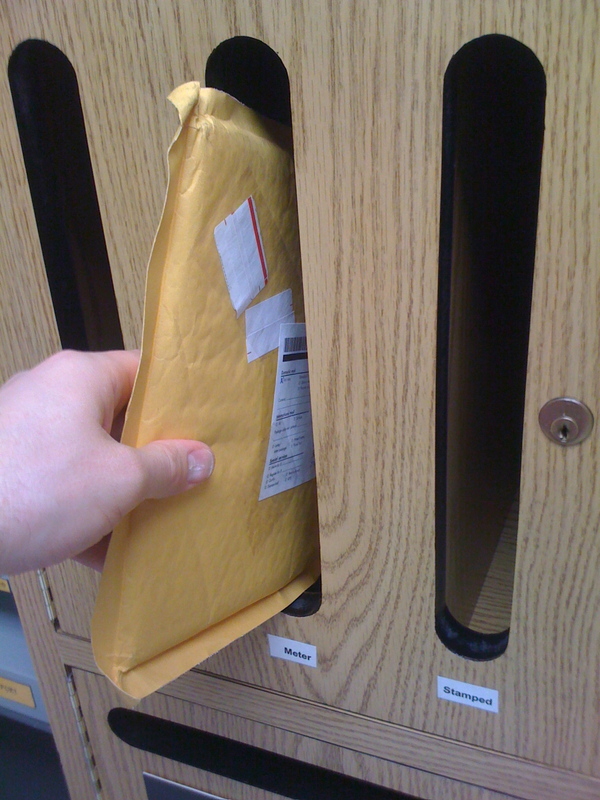 Envelope (containing ms., images, &c.) poses for a photograph that it will later regret. 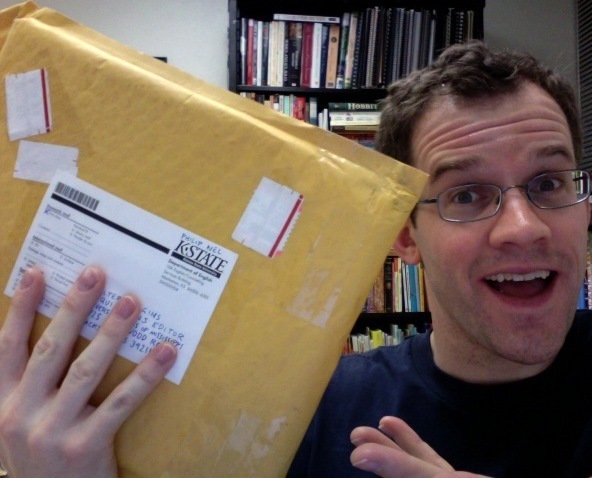 Diving into mailbox, envelope at last evades grinning lunatic. Whew! 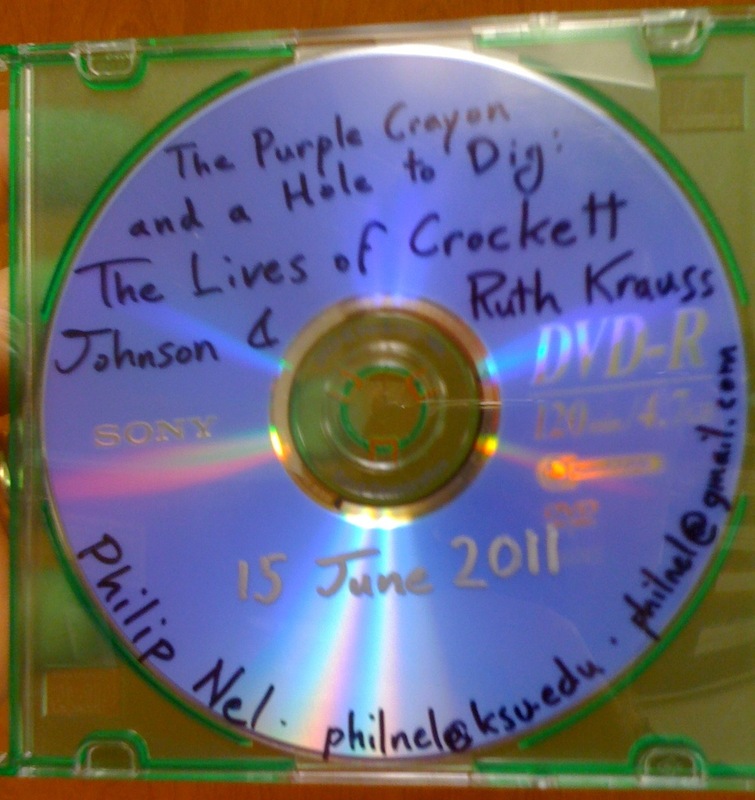 One final note: If this is indeed going into copy-editing now, then expect The Purple Crayon and a Hole to Dig: The Lives of Crockett Johnson and Ruth Krauss to be published in June 2012. Question: why did you take the “is” out of the title? I can’t wait to read this! Hi, Tali: “Is” was never in the title of my book (though it is in the title of Ruth Krauss’s book, of course). The reason it’s not in my title is that, in its current figuration, I have two noun phrases joined by a conjunction. Noun Phrase #1 is The Purple Crayon. Noun Phrase #2 is A Hole to Dig. If I aded the “Is” to the second, then I would have a noun phrase and an independent clause. I prefer to retain the parallelism of two nouns.